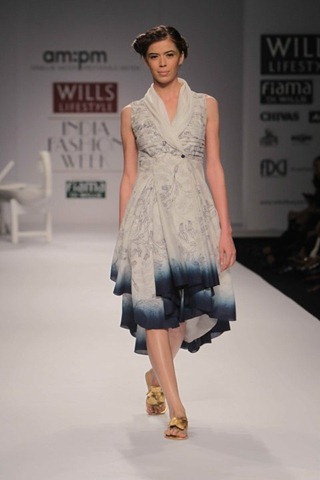 Ankur and Priyanka Modi's collection had a lovely beach-chic vibe. The drapes were simple and stylish , use of colours were very interesting . 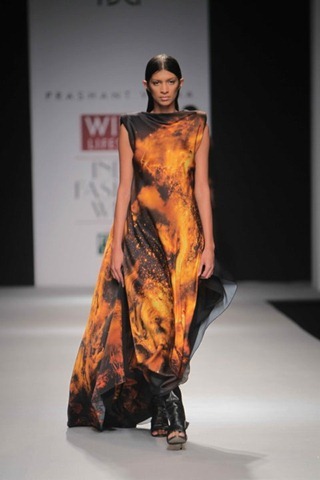 Overall the entire collection was very delightful. 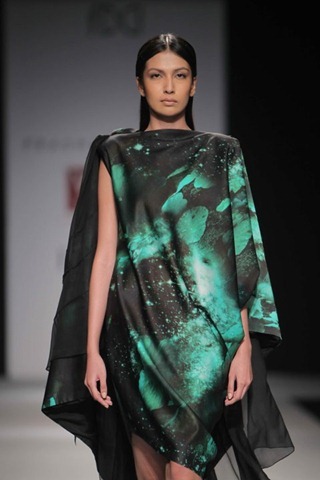 Gayatri's show has tonnes of shimmery. 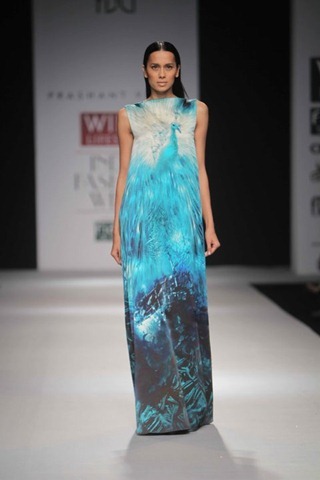 The collection has long, flowing creations that all the women were lusting after. 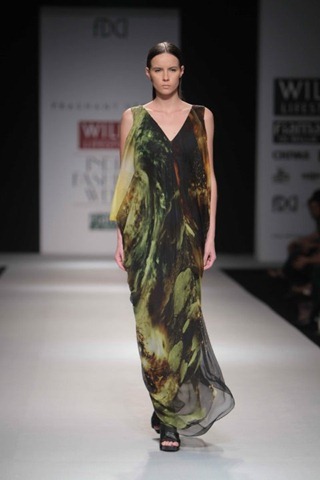 The collection is completely with very classy colors and shimmers.The marble texturing is very cool and chic. 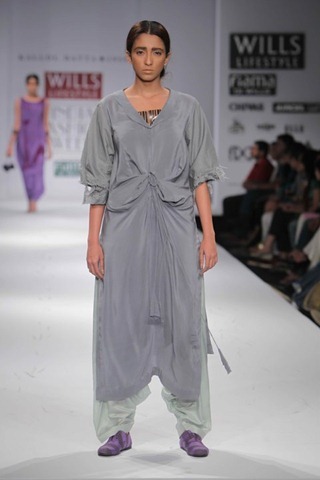 The gorgeous greys and luscious pinks accented with sequins in fabrics like silk and jersey made Tytler's show a massive hit with the ladies. The last pieces was an adorable tutu dress with lots of volume that anyone can fall in love with it. 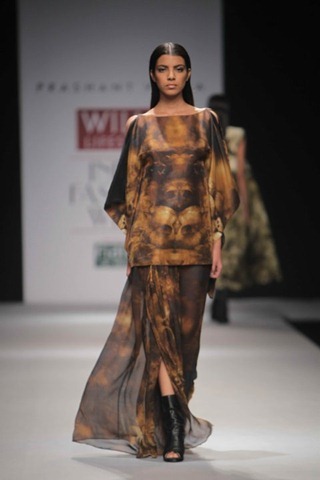 Kallol Dutta's collection has muted tones and deep printed purples. 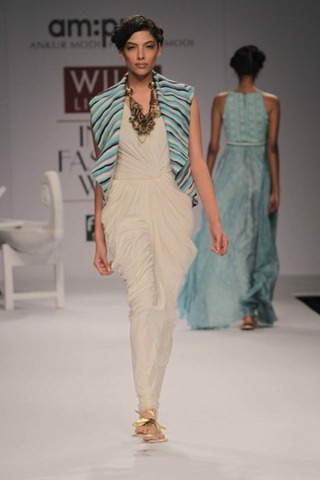 The pieces were all slightly draped and bossy skimming. The crop jackets were some of the interesting elements in the show. 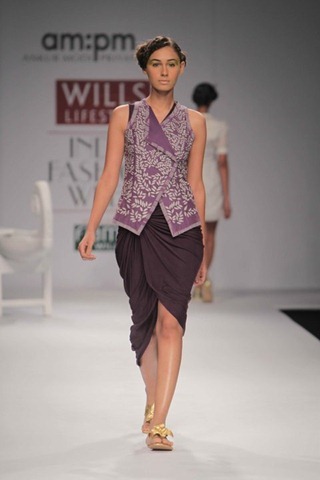 The collection included purples ,cream , grey . Cuts are very new and interesting. 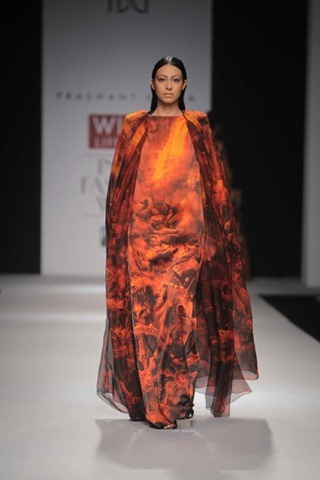 Prashant Verma's powerful collection has shoulders descending into cascading fabric in galaxy prints . 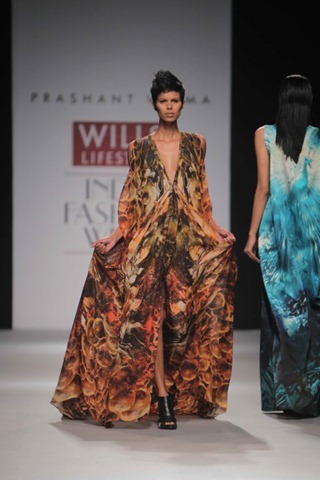 The presentation was among the best we have seen so far and the collection inspired by the the Bhagvad and is a visual explanations of the designer's aesthetic universe. 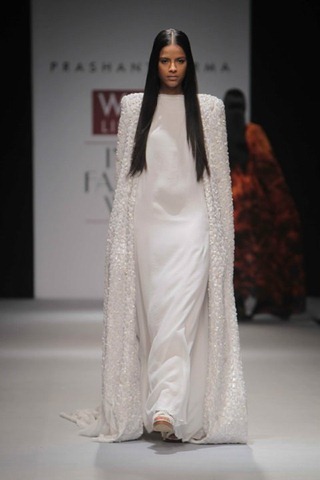 The final piece, a plain white gown worn with a long jacket embellished with white stones was the perfect end to one of the most visually stimulating collection. 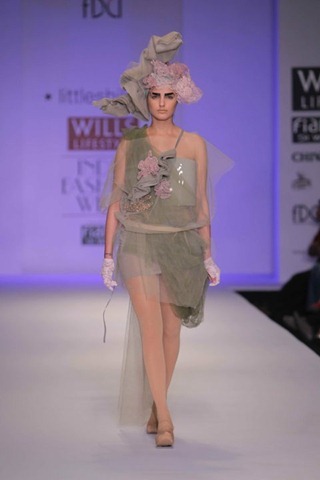 Little Shilpa used lots of tulle which was a definite plus point. The innovative structure of the pieces and the extravagant head gear made for a very fun show to watch.Complete collection was too dramatic and very creative. 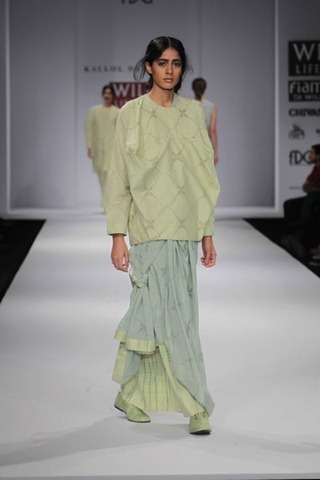 Colours included off-white , beige , green , black , blue and green. 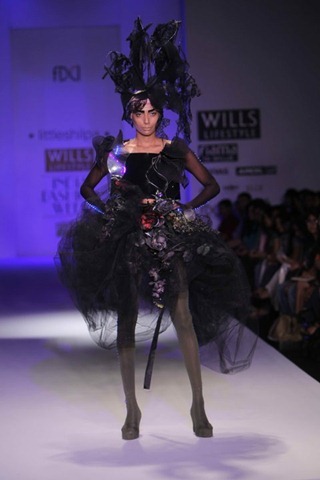 Little Shilpa created her best for the show. 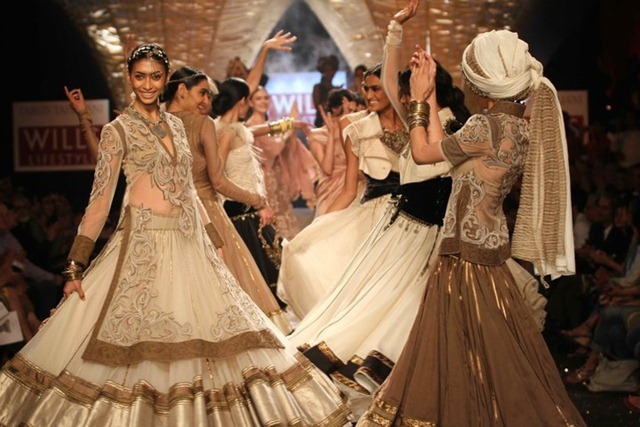 With a collection in earthy, naturalistic tones of brown, cream, beige and white gloriously accented with gold and silver, Tarun Tahiliani's was without doubt the most alluring and captivating of all the shows. 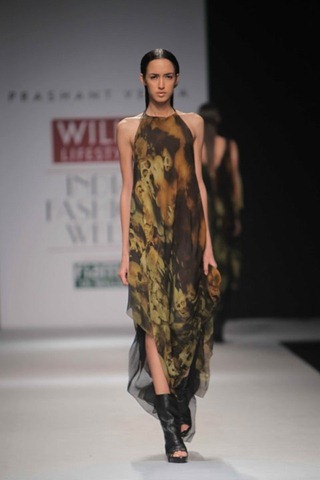 With an exceptionally well stylized collection and an excellently executed concept, we couldn't have asked for a better finale for the five day fashion extravaganza. 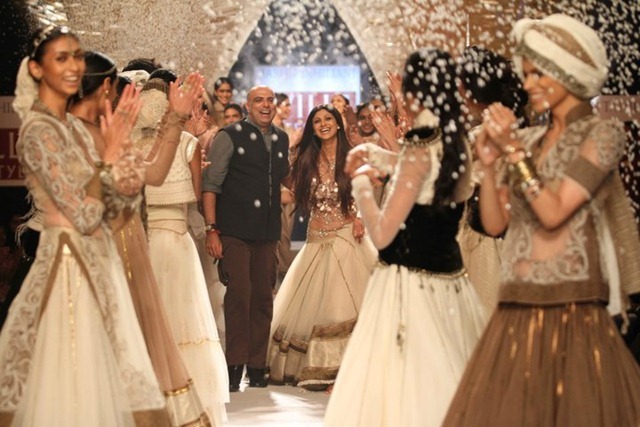 The ravishing Shilpa Shetty closed the show in a fitted bodice and a sublime layered tulle lehenga. 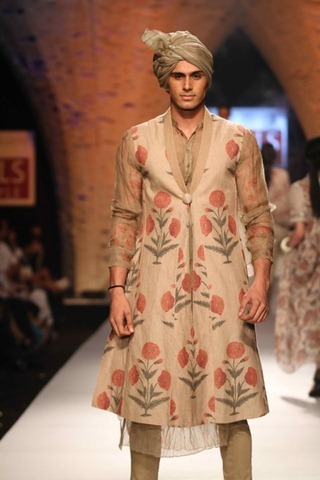 I loved the collection of Siddartha Tytler , especially that long pink dress :)Lovely post.